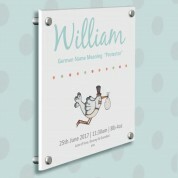 This quirky, colourful wall art makes the perfect gift to welcome a newborn boy. 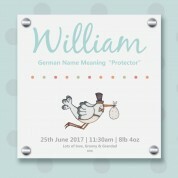 With the added feature of baby's name meaning, it makes a truly unique gift to be admired and displayed for years. The specially designed wall art is directly printed onto Polished 5mm white Perspex, using UV printing technology. The polished perspex frame will give a modern finish to any nursery. 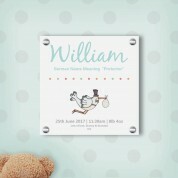 The design features a hand painted illustration, featuring a comical stork wearing a top hat and stripy socks! The precious cargo is snuggled into a cosy blanket, as he travels to his new home. The illustration has a textured 3D feel to it, adding to the uniqueness of the gift. 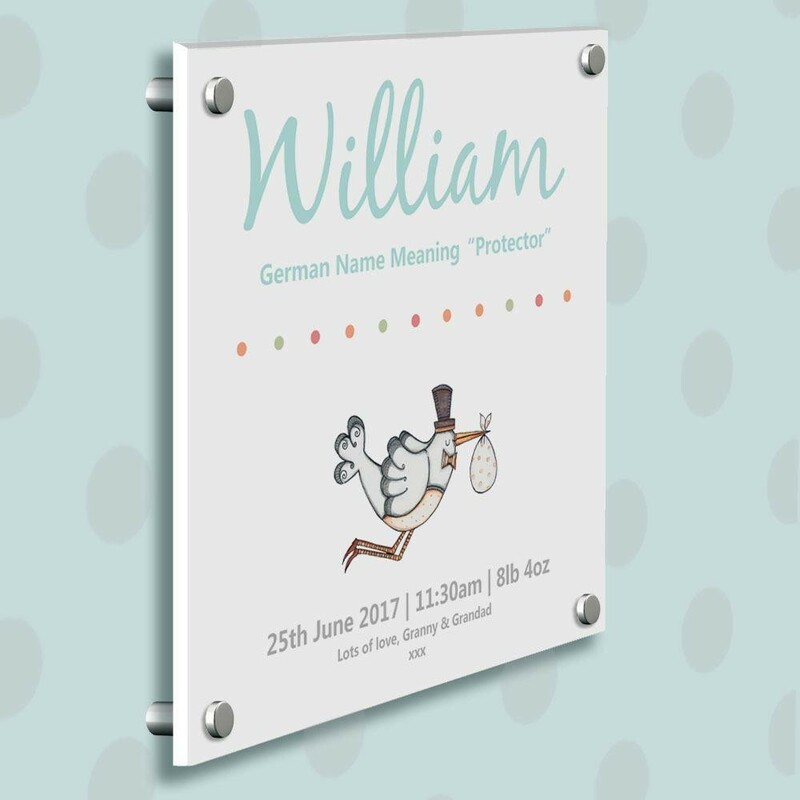 We personalise the print with baby's first name in a large, scripted font followed by the name meaning, birth details (date, time & weight) and a short personal message.